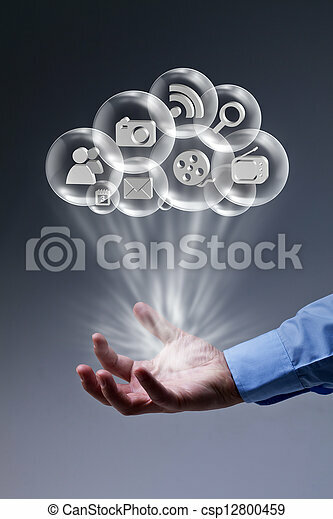 Cloud computing applications at your fingertips - male hand with media bubbles. 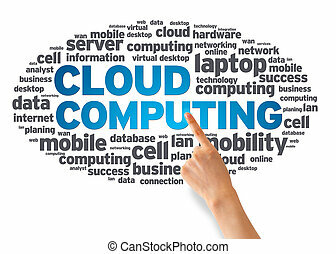 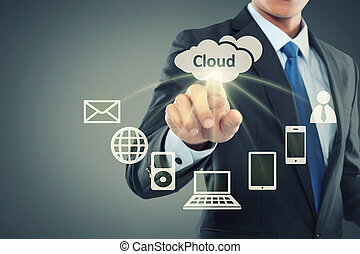 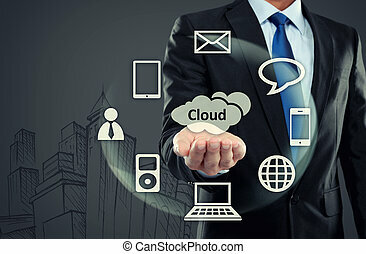 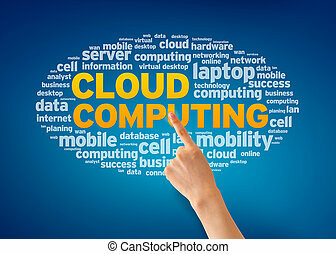 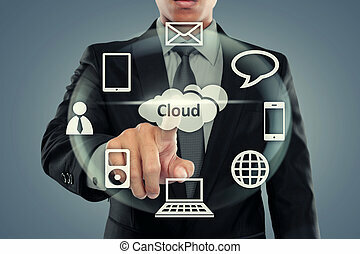 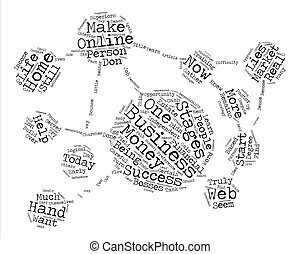 Hand pointing at a Cloud Computing Word Cloud on white background. 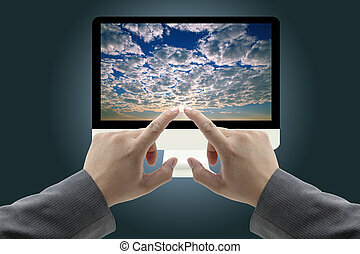 Hand pointing at a Cloud Computing Word Cloud on blue background. 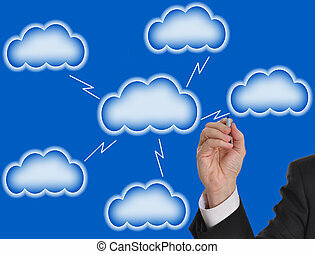 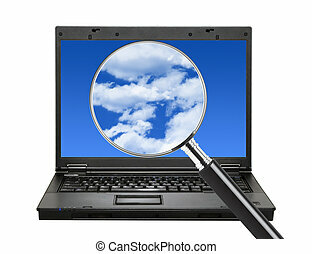 Cloud computing concept - man working with laptop and cloud represented by icon. 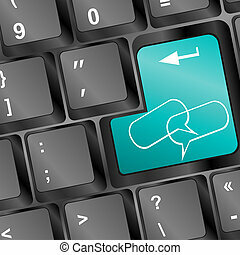 Blank negative space for your texts and design on left.